This Swift Energy rig lies within the boundaries of an oyster lease held by the company, as seen in this image from the Louisiana Department of Wildlife and Fisheries. Though oil companies hold just a small fraction of oyster leases in the state, they’re concentrated off the coast of Plaquemines Parish, like this one in Lake Grand Ecaille. Oyster industry representatives say companies hold the leases to avoid paying oystermen for environmental damages; the industry says companies are guarding against bogus claims. The state of Louisiana leases the muddy bottoms of its many bays and bayous to fishermen so they can cultivate and harvest oysters. 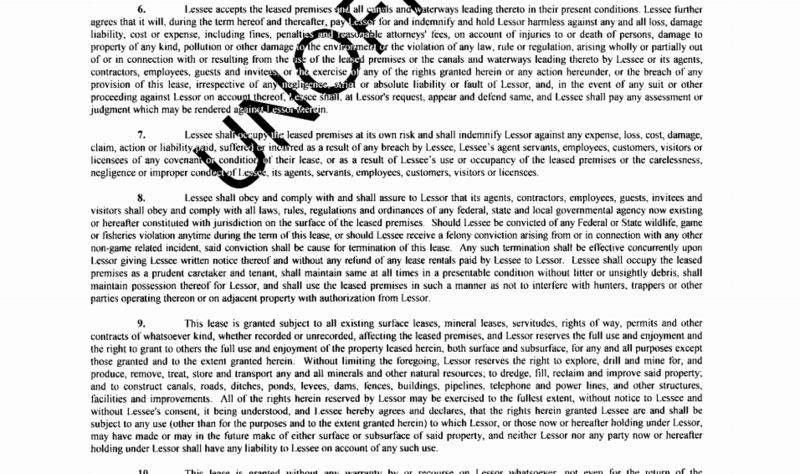 But the buying and selling of oyster leases often hinges on something completely unrelated to the raw-bar favorite: damage payments from oil and gas companies. Several oil companies hold thousands of acres of oyster leases off Louisiana’s coast, mostly in Plaquemines Parish. Oyster industry representatives say the companies are trying to evade responsibility when they damage oyster reefs. Oil and gas industry representatives, however, say they are trying to avoid frivolous damage claims from leaseholders who don’t actually harvest oysters. Hilcorp Energy Co., Apache Corp., SilverBow Resources Inc. (previously Swift Energy), Freeport-McMoRan Inc., and Mark O’Neal and Associates lease oyster grounds near offshore oil and gas wells. Two Hilcorp subsidiaries, for example, hold leases for about 2,600 acres in the Lake Washington and Bastian Bay oil fields, where Hilcorp operates 507 wells. Some oyster grounds leased to oil and gas companies lie unused. Others are subleased to oyster harvesters with one major caveat: They cannot sue the oil company for damages. “Most of the time, the oil and gas companies buy the leases up to protect their liability,” said Mitchell Jurisich Jr., a Plaquemines Parish oysterman who subleases from Hilcorp. Seven years after the BP oil spill, many oystermen blame BP for Louisiana’s slumping oyster production. Although there’s no scientific consensus about the extent of the damage, many believe that the leaked oil, and the chemicals used to clean it up, will harm oyster reefs for decades to come. Last summer, Hilcorp spilled 4,200 gallons of oil in Barataria Bay. Damage assessment is ongoing, but because the company owns many of the oyster leases in that area, it could save thousands of dollars in payments. Most of the conflict stems from oil and gas companies dredging canals through shallow waters — and on occasion, oyster reefs — so deep-hull barges can reach wellheads and lay pipelines. Even if they don’t strike an oyster reef, dredging kicks up sediment that can smother and kill oysters. It also softens the water bottom, making it difficult to cultivate new reefs. Oyster harvesters are especially critical of a cheap, particularly damaging form of dredging known as prop-washing or wheel washing. That’s when several tugboats use their strong engines and large propellers to cut through the muddy water bottom, carving out a channel for barges to pass through. Oystermen and environmentalists say companies should employ less damaging methods such as bucket dredging, in which the sediment is scooped up and deposited elsewhere. It typically takes thousands of dollars and up to three years to cultivate a new oyster reef, so any damage to a reef can be costly. As the number of offshore wells increased in the mid-20th century, so did the damage payments to oyster harvesters, according to a Louisiana State University study. Oyster production per acre of leased water bottom has declined about 75 percent since 1960, according to state and federal figures. Biologists say that’s due to several factors, including destructive mineral extraction practices, changing salinity levels in the Gulf of Mexico, hurricanes, and the state’s efforts to rebuild the coast. Whatever the cause, productivity had declined so sharply by 2006 that two LSU professors concluded that statewide, damage payments to oyster lease holders matched or exceeded their income from harvesting oysters. From 2003 to 2006, more than half of oyster leases garnered some payment due to oil and gas activity, they wrote. And about 57 percent of oil and gas damage payments were for oyster grounds that didn’t produce any oysters, they found. Louisiana is slow to update its oyster lease grid, so areas that are no longer productive remain on the books. The state put a moratorium on new oyster leases in 2002 to protect itself from lawsuits arising from its coastal restoration efforts, leaving fertile water bottoms off-limits to oyster harvesters. Gifford Briggs, vice president of the Louisiana Oil and Gas Association, said the industry wants to protect itself from bogus damage claims that arise from speculative leasing — when someone obtains a lease not to harvest oysters, but in the hopes of collecting damage payments. Damage could result from dredging, oil spills, pipeline leaks or oil exploration. Though oil and gas companies control a small portion of the 400,000 acres of private oyster leases in Louisiana, they’re concentrated around the oil wells in the Barataria Basin, off the coast of Plaquemines. More than 70 percent of oyster lease damage payments were from that area, according to the LSU study. Hilcorp acquired many of its oyster leases when it bought oil and gas assets from other companies, said Justin Furnace, the company’s director of external affairs. To eliminate confusion between sellers and the company, he said, Hilcorp usually buys all assets associated with a particular well. That often includes nearby oyster leases. “We typically sublease them to local oystermen, who maintain them,” he said in an email. Apache, SilverBow, Freeport-McMoRan and Mark O’Neal and Associates did not respond to requests for comment. Oyster industry representatives say speculative leasing is rare. “There are situations, and the oil company harps about it, when people are leasing just to get oil damages, and they make a big issue about that,” said Tesvich. Many oystermen doubt Louisiana regulators will force oil and gas companies to abide by state laws and regulations, Tesvich said. Some oystermen believe it’s up to them to hold companies accountable. But, they said, it’s hard to keep the industry in check when some of those companies hold oyster leases. Unlike many other oyster-producing states, Louisiana doesn’t require oyster lease holders to produce or cultivate oysters. 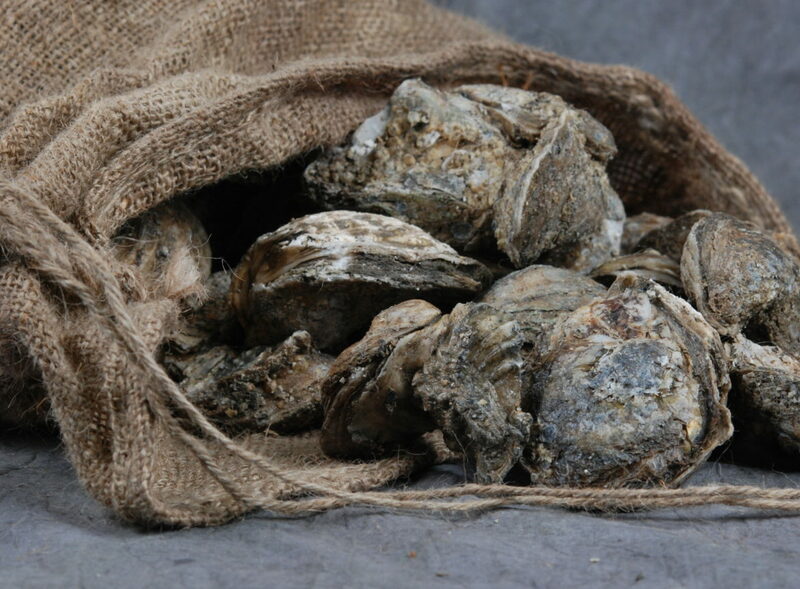 Waltzer contends that the Louisiana Department of Wildlife and Fisheries, which handles the oyster lease program, is still obligated to ensure oyster leases are being used for their intended purpose. The relationship between the oyster industry and the agency was most contentious in the late 1990s, when the agency mandated that all oyster leases include a clause making them secondary to navigation and to oil and gas extraction. Jurisich sued the state, and the Louisiana Supreme Court ruled in his favor. Still, he said, oyster harvesters lost so much trust in the agency that they tried to move the leasing program to the state Department of Agriculture and Forestry. The relationship between oyster harvesters and oil companies is complicated in Plaquemines Parish, where family members and neighbors often find themselves on the opposite sides of industry disputes. Gleason Alexis manages an oyster lease that Hilcorp dredged through; his mother, the leaseholder, is now suing the company. * Another son Michael works on a tugboat that moves Hilcorp barges from site to site. At a public hearing in March, Michael Alexis said Hilcorp stopped giving him work after the suit was filed. Tesvich said oyster harvesters just want to find a way to coexist with oil and gas companies.